The quest to curb black money and corruption is as old as the Republic of India. For seven decades, the twin devils have haunted India. There have been demonetisations, seven disclosure schemes since 1951, creation of institutions of vigilance, and legislation of new laws to tackle corruption and black money. Yet, as the Eagles sang in Hotel California, “They stab it with their steely knives, but they just can’t kill the beast”. This week the government took another shot at tackling the twin devils by demonetising high value currency. Critics observed that this is a redux—it has been done before. True. But the difference is the scale. The first demonetisation of 1946 resulted in the demonetisation of `143 crore out of `1,235 crore currency with the public. In 1978, the Morarji Desai regime demonetised `146 crore out of `9,152 crore. In 2016, the Modi Sarkar has demonetised `14.95 lakh crore out of `16.98 lakh crore. Step away from the numbers to appreciate magnitude in words. In 1978, the quantum of high denomination notes demonetised was barely one in hundred, or 1.52 per cent notes with the public. In 2016, high denomination notes demonetised account over eight of 10 notes in circulation. The validation of the scale of the action is visible in the untold disruption in the economy. Tuesday’s decision was presented with multiple objectives. 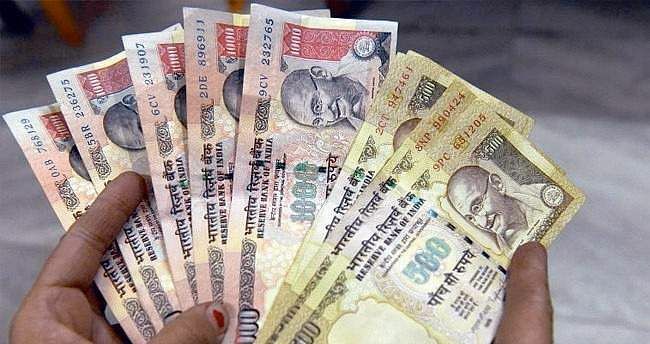 To drive black money out, curb corruption, thwart criminality that thrives on illicit cash and counter the menace of counterfeit currency smuggled in by drug cartels and terrorist groups. There is also the long-term hope that the move will propel India from a cash society to a “less-cash” society. The demonetisation has been described as a “surgical strike”. It will cramp, if not cripple, the perpetrators of terror, impoverish criminals and reduce the threat of counterfeit currency. It also promises to shrink the size of the shadow economy. In 1978, roughly `125 crore of the `146 crore cash was deemed legal. Ergo it is estimated that around 15 per cent of black money will be rendered as trash. The big question though is whether demonetisation will deliver on the objective of curbing corruption and generation of black money. Fact is demonetisation is essentially like liposuction. Just as liposuction drains out fat from a part of the body, demonetisation flushes out ill-gotten wealth from the system. However, as with liposuction, demonetisation is a major step but not a one-stop cure. Victory in this war depends on definition and approach. What is black money? It is both the cause and consequence of fault lines in the political economy. It is estimated that black money constitutes over a fifth of the national output. Not all that money is static in some attic. There is the stock, physical moolah is trapped between generation and investment. Then there is the flow that is thriving in the economy and the opportunities for generation. The quest dictates a need for a multi-pronged strategy that goes beyond the debate on high value notes. Sure, high-value notes enable hoarding. But the need is driven by a large informal sector, poor financial inclusion and dynamics of the rupee’s value. Justifying the need for `1,000 notes, Yashwant Sinha told Parliament in 1998 that the value of the rupee eroded from 100 paise to 18.8 paise between between 1978 and 1996. The diminution of value has not halted and neither has the need for it diminished. Winning the war against corruption and black money calls for deep structural reforms. It is no secret that corruption thrives and the shadow economy mushrooms at the confluence of business, Babudom and politics. There is poor regulation of business—from cost inflation to tax evasion. There is permission raj that enables price discovery in issue or rejection of permits. Then there is the business model of politics, funded by discretion and rent. The triad is emboldened and sustained by lack of the deterrence. The expectation of rule of law flails in the face of a criminal justice system with over 33 million pending cases. It would be worthwhile to do an audit of corruption cases—pending chargesheets, pending trials, pending appeals. Clearly, the resourceful are able to twist the long arm of the law. Indeed, restoration of deterrence by fixing the broken criminal justice system must be the first priority. Corruption prospers in the sloth of poor governance. At the structural level there is a need for a major overhaul, a need for decentralisation that will enable ease of doing business as also job creation. For instance must everyone at the Centre and state okay everything? At an operational level there is a need to reduce human interface by inducting technology. Take citizen-centric services, which drive the volume of corruption. Why not borrow ideas from the private sector—induct an SMS/app-based process protocol and time-bound response for delivery of services? The big elephant in the battle against corruption and black money in the political economy is the business model of politics. Political parties are obliged to report on the collections in their kitty. Missing in the report is a critical fact—who gave the monies? In the past two years, political parties and independents contested 1,419 seats in 11 states. We know that there is a cap on election spending. What we are not privy to is the source of funds. And to preserve this opacity, political parties have thwarted attempts to be brought under the RTI. Why not make the process transparent, like the US where even presidential candidates reveal source of every dollar, or a comparable system that enables the voter to make an informed choice? Why not usher simultaneous Assembly and Lok Sabha polls to curb money power? There is no dearth of literature, of studies by committees and commissions for the much-needed structural reforms. The Second Administrative Reforms Commission produced 15 reports—the 140-page Fourth Report has 48 recommendations on corruption, governance and electoral reforms. In March 2015, the 255th Law Commission steered by Justice A P Shah put out a 269-page report in granular detail on electoral reforms. The war on corruption and black money calls for holistic action. It is a hard road. To paraphrase General Patton, the exhilaration of victory, demands acceptance of challenges.